As a lifelong student of the human condition, I have been on a mission to figure out why it is so hard to change, even when we really want to live life differently. Why is it so hard to stick to positive habits, even when we can feel the benefits in our daily lives? Why is it so easy to fall back on old patterns, even when we see the destructive results? The problem is that repeated actions create neural pathways in our brains. Think of these patterns like paths of least resistance, the stubborn default patterns to which your brain returns again and again. While it’s possible to take actions that will change these pathways, you will need grit and faith to see these actions through to the point where you will create lasting change. Recently, I watched a video of a guy learning to ride what he called a backwards bike. It was backwards because when he turned the handlebars to the right, the front tire went to the left, and when he turned the handlebars to the left, the front tire went to the right. When he got on the bike, he was unable to ride it. His brain had neural pathways created from riding a traditional bike, not a backwards bike. He even had other people try to ride the backwards bike and they couldn’t do it either. That’s where the grit comes in. Grit is perseverance and passion for long-term goals. This is a term that I love coined by Angela Duckworth. You may have to power through with your new actions, even when you don’t feel like it. That’s what happened with the guy on the backwards bike. He practiced riding that backwards bike for eight months. That’s right, eight months. Most people would have given up long before, especially as he had no proof he was getting closer to his goal. But this guy wasn’t to be deterred. Then one day, eight months in, he could ride the bike, even though the day before, he could not. You see, even though it is possible to create new neural pathways, the proof that these new pathways are being created doesn’t come along gradually. It happens all of a sudden. That’s why you need faith. You may not see much progress, but you gotta have faith that things will change if you stay the course. The man then asked his six year old son to practice riding the backwards bike. His son had been riding a bike for almost three years. In just two weeks, the six year old was able to do what took his dad eight months to accomplish. This suggests that the longer the original neural pathways are there, the longer it takes to change them. Well, the dad got proficient at riding the backwards bike and after a while, he wanted to see if he could ride a traditional bike again. He could not. So he practiced riding the traditional bike and in 20 minutes, he was able to ride it again. Once again, it was not a gradual process. He could feel the moment when something kicked in and he could ride the traditional bike again. This got me to thinking about learning to ride a bike. You start with training wheels so you can get the feel of pedaling and steering without having to balance. Next, the training wheels come off and you get up there all brave and try and try to balance on that bike. 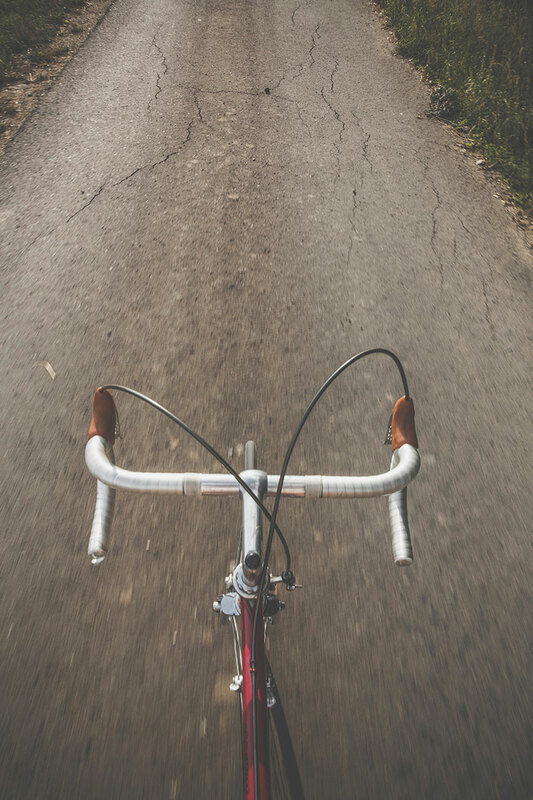 Somebody holds the back of the seat and you fall down a few times (maybe more than a few) until…there’s that one moment when you can balance on that bike and off you go. So, what does this all have to do with change? If you want to change the patterns that have been ingrained in your brain so that you can have something new, you need to daily and consistently create new pathways. You need to have faith that it will change if you put enough effort in. You need to do that from a place of calm and yes, a loving place. Being frustrated and angry and unreasonably scared stops those new pathways from being created. If I want to live my life a different way….if I want be unstressed, or kick a bad habit, or shift my relationships…..I need to practice this so I can create new pathways. I need to do this consistently and I need to do this daily, until the new pathway is created. I need to do it from a calm, loving state. I need to have grit, so that I will not be deterred, even when I don’t see progress. There’s lots of ways to do this. You can do it in a meditative state. You can “act as if.” You can make daily affirmations. You can do a mental rehearsal in your imagination. You can do all of the above. I have started today! Are you up for the challenge? Belinda Phillips is a heart and soul healer, energy worker, wellness coach and lifelong student of the mind, body, heart and soul.